Currently, taxes are collected from corporations and from the top 20% of income earners. However, taxes are actually paid by those who buy the products and services. More is going on than just reducing the incentives of the top 20%. If tax rates increase, individuals will demand higher salaries to bring net salaries back to previous levels. The employer must raise prices to reflect increased costs. An increase in prices will lower quantities sold. If the company cannot raise prices and profits go down or turn negative, growth will slow or the company will get out of business. I’m glad it didn’t pass. The monthly amount per citizen was around $2,600; a good way to wreck the Swiss economy. I believe that the amount was raised high enough to create a “poison pill” to ensure that it wouldn’t pass. There are other potential tests in the works [Finland] that might be more reasonable. We shall see. Without a UBI to make effective tax rates progressive, there is no way to get a flat tax passed. 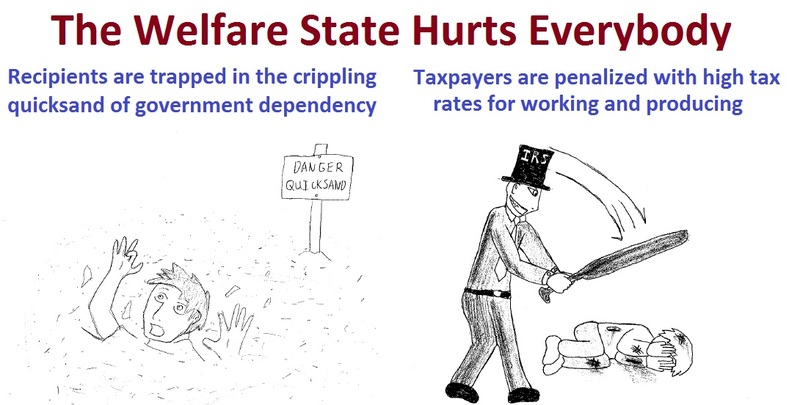 Without a UBI, there is no way to get rid of the welfare bureaucracy. Without a UBI as a guaranteed income, there is no path away from current entitlements to individual retirement accounts. Without a UBI that includes money designated for individual Health Savings Accounts, there is no way to have universal free-market healthcare. Without a UBI conservatives will lose the fight for hearts and minds. With a UBI, the raison d’etre for the Democratic party disappears. Because a UBI is far more than a replacement for the current safety-net; I think the time is now, to take our chances with the unknown unknowns, because we have such a clear understanding of what awaits us as the lemmings head over the European cliff. Happy to see someone reads my thoughts too. I understand the attractiveness of UBI in eliminating bureaucracy (though those government employees will not just easily accept been thrown into the productivity demands of the private sector, but that’s another story). But I’m still weary of such radical change. I have a hunch it will turn out a Faustian deal. But in practical terms — why don’t we wait for a couple of nations to try it and then if it works we can go for UBI 3.0. After all, the idea is so attractive that some nations are bound to fall for it sooner or later. Even in Switzerland twenty three percent of citizens voted for it. The fact that Switzerland was the first nation to vote on it is a good sign. For now, the American system has produced the wealthiest middle class in the world. We should think twice, trice, multiple times, before tossing it — a principle that holds even more when foolishly rushing to become like Europe — the one percent growth trendline continent. I’m diverging but, for heaven’s sake, what hope is there in becoming a one percent growth trendline continent? What is sustainable on a one percent growth trendline when the world average trendline is three-four times that? Nothing — nothing! –is sustainable on a one percent growth trendline. Everything gradually dismantles, in a mere few decades. That is the process Europe is going through, right before our very eyes, and American voter moths are still attracted by the light of coercive collectivism. Thanks for your comment. Nice to know that you’re reading mine, as I always read and enjoy yours. You’re correct that a UBI would eliminate the current definition of poverty, and should in the future be increased only by the inflation rate per recipient. It turns out that the current poverty level is about what we are currently spending for welfare and non-legacy entitlements plus “tax expenditures”. So when you ask what is there to keep politicians from increasing the UBI, you must also ask what will keep politicians from increasing current programs and tax expenditures. An increase in the UBI will affect all citizens and will necessarily increase the deficit by the same amount. It is unlikely that a politician would get much political benefit from lifting the UBI by less than 10%, which amount would result in a deficit increase of ~$200 billion. The direct association for any increase will make that a very bitter pill. If a future flat tax rate must be raised to pay for it, every working citizen will feel the pinch. Isn’t it more likely that increasing dependence you often describe, wack-a-mole increases from each welfare agency “for the children and their puppy dogs”, and new tax expenditures for the lobbyists will far exceed any budget busting increases in the UBI, because such increases cannot be directly linked to the deficit? It’s imperative that we evaluate a UBI against the current system. 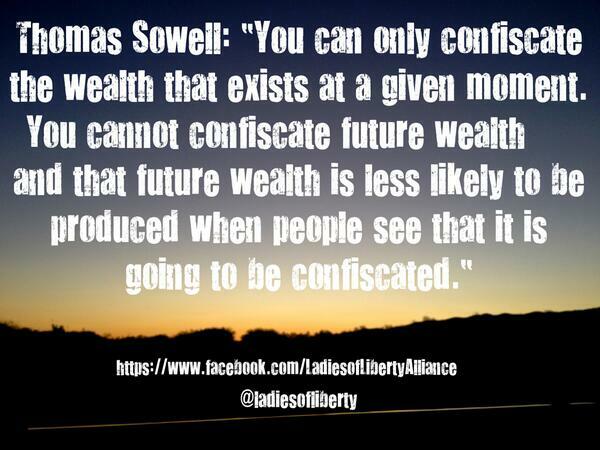 An evaluation against a hypothetical system where no redistribution occurs is a waste of time. We can only modify the current system in the direction we would like it to trend. Another brake on increases, that I recommended in my book, was a legislative bonus, which is a variation of Dan’s Swiss spending brake. This bonus would be 2x legislative salaries, if Discretionary Spending increases are less than the rate of economic growth, otherwise no bonus. [After all, they do work for us. LOL!] Any increase in the UBI would be considered Discretionary Spending and would effectively wipe out any bonus for however long the UBI increase stayed in place. This bonus might cost ~$200 million to control a budget of over $1 trillion. We need a big carrot to lessen the influence of the carrots legislators receive by increasing spending. Nedlandp, what defines the poverty level? Institution of UBI would eliminate the very definition of poverty. The day after UBI is instituted the new poverty will be 2xUBI. And its upward adjustment just an election away. Does an extra twenty percent in redistribution cause people to give up? Do people go home en masse when loaded with an additional twenty percent in tax? But what people fail to understand is the narrow margin of competitiveness between successful nations on a virtuous cycle and basket case nations on a vicious cycle — and how easy it is to destroy a virtuous cycle into a vicious one. People don’t just withdraw from productivity and go home when loaded with an additional twenty percent tax. But their overall aggregate motivation decreases. The key is that it drops below the aggregate motivation of their closest competitor nations. Their companies start been overtaken by foreign competition, people get lifetime lessons that ambition is not really worth it, desperate voters reflexively seek more redistribution at the polls, and the country quickly enters the vicious cycle — the vicious cycle of growth slower than the average world growth trendline. A transformation too slow to notice in the pace of day to day life, yet precipitously fast on a historical time scale. Leftists, honest leftists, do recognize how catastrophic this loss of competitiveness is, and that is why they try to eliminate competition by forcing all nations into high taxes through the OECD and the intimidation of other international bureaucracies. They also consider this pivotal effect of competitiveness and its compounding effect on prosperity an unfair and quirky flaw of capitalism. The winner takes all (or almost all). Even if the winner wins by a relatively small margin. But this effect is not as unfair as it seems. This is because growth is exponentially compounding. Consider what humanity would be now, had motivation and growth been ten percent higher than it has otherwise been since, just say, 1000AD, just to be conservative. We, humanity, would now be a century ahead technologically, scientifically, economically. The diseases we know of today, things like cancer, would no longer exist. Our lifespans would be much much longer through genetic manipulation at the fundamental workings of the aging mechanism, and we our incomes would be about twenty times what they are today. Yes that is x20 and assumes a conservative 3% growth and completely ignores the glaringly obvious trendline whereby human growth is actually accelerating. In that context — the real and longer term context — depressing growth by a mere ten percent is extremely cruel. Everyone who died from cancer in the last fifty years and everyone who will die from it in the next fifty would not have done so had human growth been a mere ten percent higher. And that is just the effect of one disease. There are also the fantastical longevity and prosperity benefits which we cannot enjoy because growth has not been a mere ten percent higher. Those who place redistribution above growth — however small an amount of growth! — have been, and continue to be dead wrong. Of course, this is all theoretical and long term. The voter-moth election is in November, and the light of coercive collectivism shines bright. Bright blue that is. Redistribution is the wellspring of collectivism — flatter effort/reward curves –which means compounding slow growth — which means deterministic decline. People with real money( 15 million up) had already made their plans. And people wonder where there jobs are. They voted them away!!!!! The others with a couple of extra nickels to rub together that realize what is probably going to happen have stopped expanding their business and are planning an escape. At least partly. Why make money when it will be taken from you??? We will still have accelerating legacy commitments, but by displacing some of those commitments with UBI payments we can slow that acceleration. The problem is not so much with redistribution as with the current method of redistribution and the accelerating costs. 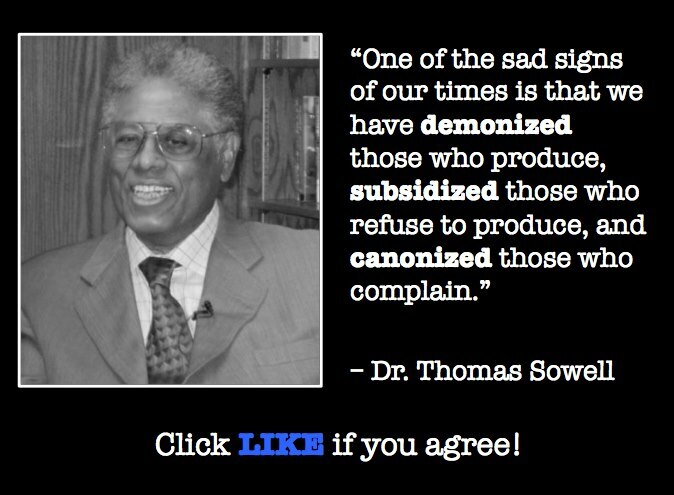 The current method is to filter redistribution through agencies that are incentivized to grow by encouraging dependence. Few would dispute that no member of society should live in poverty. An Unconditional Basic Income for citizens set right at the poverty line would at least take every citizen out financial poverty, while eliminating most disincentives to work. [Poverty of spirit, education, community morals, and community opportunities will need to be addressed once financial poverty is eliminated.] A UBI would bypass the bureaucrats and go directly to citizens, ending their dependence on benefit programs and forcing them to become responsible for their own welfare. Since the cost of a UBI will grow in real dollars with growth in citizenry [0.9% annually] the demographics of a UBI are the opposite of current safety-net programs, in that the economy will grow faster than UBI support. We will still have legacy commitments that are currently accelerating, but a UBI will slow that acceleration.